To provide basic training in firearm safety and marksmanship for men and women. To provide knowledge essential to avoiding violent confrontations and understanding the ramifications of using deadly force. To present to you the BEST legal information on owning and using a handgun. You will be shooting at “Bad Guy” targets and will need a minimum of 50 rounds. For a cleaning fee we have an extensive collection of handguns and ammo available for your use. Full details will be sent after registration. To provide advance training in proper firearm safety and concealment. To provide knowledge essential to react to violent confrontations and understanding the ramifications of using deadly force. You have made the personal decision to enhance your defensive firearms skills and understand that firearm training is a never ending journey. You can not over train. Under fire you will fall to your level of training, making your training sound, safe, and valuable. The student is expected to have a mastery of the basic pistol skills and safety. Each student must master the advanced skills in this class and project the proper attitude requisite. You will be shooting at “Bad Guy” targets and will need a minimum of 200 rounds. Use your intended concealed carry handgun for this class. Full details will be sent after registration. Details: This 2-day class will cover the NRA’s Personal Protection Outside the Home (PPOTH) course, both Basic and Advanced. To take this class, you must show proof of completing NRA Personal Protection In The Home or have a valid Michigan CPL .This course is a prerequisite to taking an NRA PPOTH Instructor Course. This is the required course for all CPL holders who wish to carry in pistol free zones (PFZ) as reflected in Senate Bill 584, which passed the Senate in one day and is on it’s way to the house. Sign up now so when/if the bill passes you can immediately apply for your enhanced CPL license upon passage of this law. This is a prerequisite for attending the PPOTH instructor course. Cost: Two Days, $225 and $50 Deposit is Required. NRA RSO (Range Safety Officer) Course. 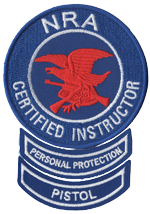 Short Description: Develops NRA Certified Range Safety Officers with the knowledge, skills, and attitude essential to organizing, conducting, and supervising safe shooting activities and range operations. Cost: 125 and $50 Deposit is required. Name: NRA Basics of Pistol Shooting – Course completed by us. Short Description: The NRA Basics of Pistol Shooting is a two-part course consisting of an e-learning portion (completed online-in your own timeframe) and a hands-on practical portion conducted at a range under the guidance and supervision of an NRA-Certified Instructor. 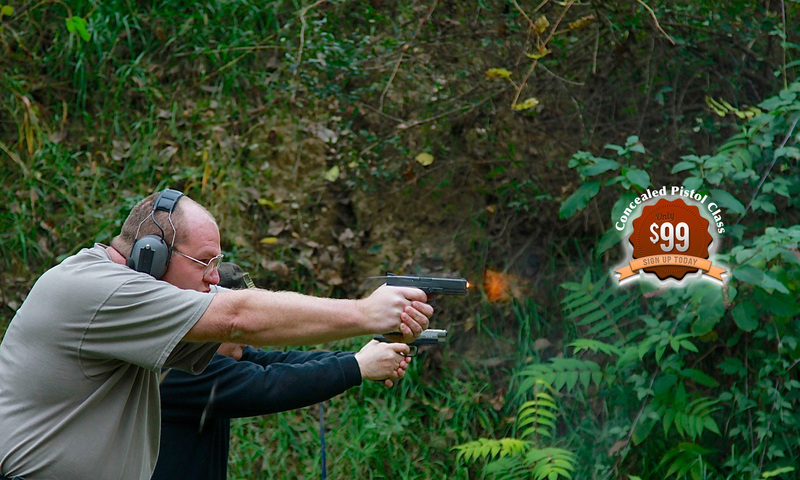 The course is intended for all adults regardless of previous shooting experience or NRA-affiliation.